How many times in your life have you started a prayer with the word “Father”? For me it’s thousands upon thousands. Tens of thousands, perhaps. I can’t even begin to guess. In fact, it is fairly common for Christians to address God as their father, though I know many whose prayers customarily begin with “Dear God”, which, when you think about it, is a little perplexing. How many of us think much about the fact that the family relationship with God into which we have been brought through faith in Jesus Christ is not only intimate but also unprecedented? The Lord Jesus used the word “Father” lavishly and taught his followers to do the same. But did you know that in doing so, he opened up what was then an entirely new way of looking at God: as the initiator of a personal, family relationship available to all who trust in his Son. That point of view was all-but-inaccessible to the saints of the Old Testament. In the Textus Receptus (the KJV’s source manuscript tradition), there are 644 Old Testament occurrences of the word “father”, of which only a dozen or so have anything even vaguely to do with God, and only one of which conveys the tiniest fraction of the intimacy with which the Lord Jesus speaks of (and to) his Father, and with which he would have us speak of (and to) him. Wow. David is able to go so far as to say that at least with respect to his compassion, God is kind of father-like. But the simile is as far as he takes it here. Simile again. 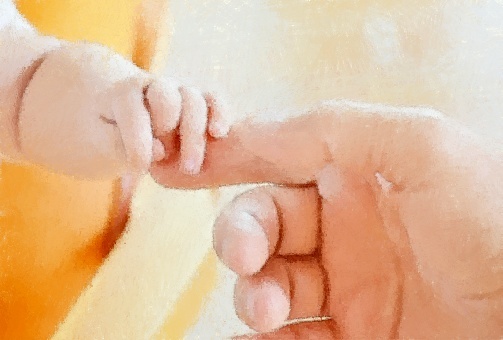 If you want to know what God is like, says Solomon, well, he disciplines those he loves much like a human father does. His reproof is evidence of his care and investment. So we have a couple of points of comparison with human fathers, but we are far from giving God a title, and even further from seeing him in a consistently intimate and personal way where the entire breadth and depth of his fatherly role is clearly delineated. When we reach the prophets, we find that God’s relationship with the nations of Israel and Judah is father-like in some ways too. But note that this is a claim of national relationship, not a personal one. It’s instructive to know that God sired the nation (“Have we not all one Father? Has not one God created us?”), confirming to know he acknowledges the nation (“For you are our Father, though Abraham does not know us, and Israel does not acknowledge us”), reassuring to know he molds and disciplines the nation (“But now, O Lord, you are our Father; we are the clay, and you are our potter”), logical to observe that he leads the nation (“I thought you would call me, My Father, and would not turn from following me”) and both reasonable and slightly scary to find that he consistently expects the appropriate respect from his covenant people (“If then I am a father, where is my honor?”). Still, there is nothing individual about these father/child relationship passages — even if you happen to be Jewish. Certainly there is nothing in these passages, except by optimistic and extended application, that might be said to encourage Gentiles to a greater sense of intimacy and relationship with God. This promise is restated twice in Chronicles in different words that make it evident David’s son Solomon (he is twice named) is the initial focus of God’s promise (the fact that God says this “son” he is committed to blessing will commit iniquity is also a bit of a giveaway). Here we have a promise from God to a specific individual which in its fulfillment shows us God’s role as father in its most developed form to date. He disciplines, loves and establishes Solomon’s kingdom. In addition, we find the God sharing his paternal wisdom with his son Solomon to an extent previously unimagined. The books of Proverbs, Ecclesiastes and the Song of Songs are the evidence. But this was only one guy, Solomon. Nobody else could claim such a personal relationship, certainly not you and me. Perhaps the greatest illustration of the personal fatherhood of God available to us in the Old Testament is Ethan the Ezrahite’s Maskil, Psalm 89, in which the full significance of the Davidic covenant is explicitly laid bare. Ethan writes about “David, my servant”, who could not more obviously prefigure his Greater Son. The full text is too lengthy to quote here, but expressions like “the firstborn, the highest of the kings of the earth”, “I will set his hand on the sea and his right hand on the rivers” and “I will crush his foes before him and strike down those who hate him” suggest we are well past Solomon here, a man who could never really be said to be the ultimate fulfillment of Psalm 89. But again — and not to be a whiner here — what does all that about God’s fatherhood with respect to Jesus, his own beloved Son, mean for you and me? Ah, well for that we need another post, don’t we. This one should be sufficient to establish that with respect to God’s fatherhood, it is only the Son who has ever truly declared exactly what that entails. Everything before him was mere foreshadowing.